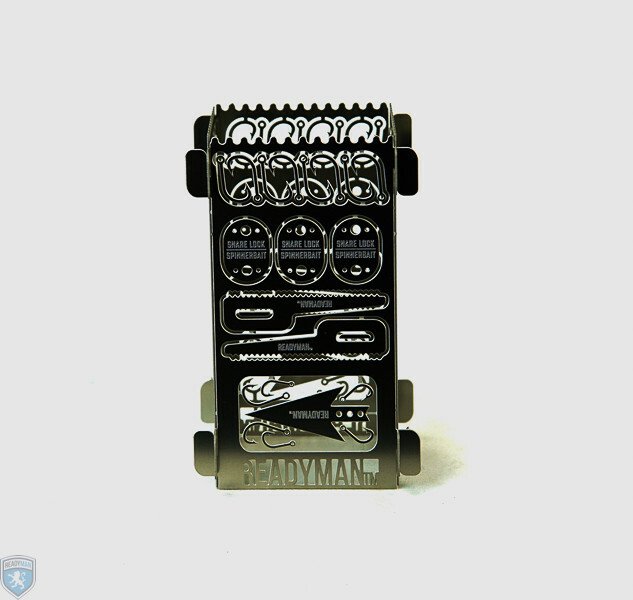 You've seen the Readyman survival card that we featured a few months back which is a little card that you can keep in your pack and lets you snap out survival tools as needed. 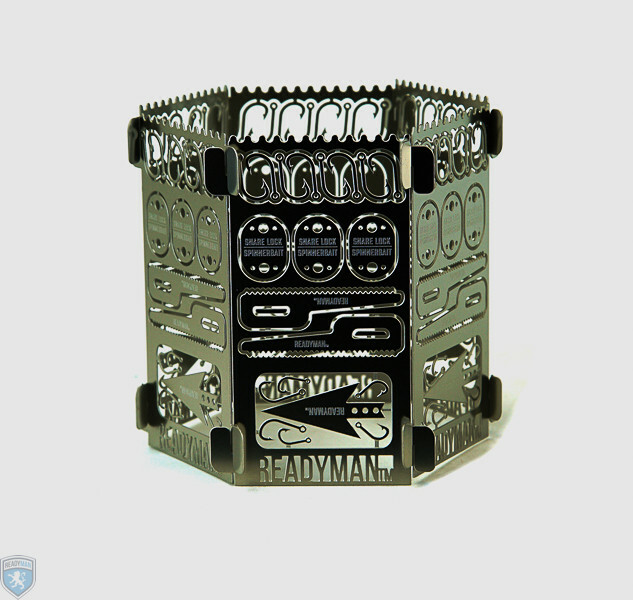 Well now the same company is offering a survival stove that does the same thing. The Readyman pocket survival stove is a small 6 sided stove that folds down to fit inside a pants pocket or bag. The survival stove can be quickly assembled to help you focus flames and boil water in an emergency. But in addition to being a stove, it's also jam-packed with survival tools. To use them simply snap them out as needed, just like you do with some of those crappy toys you buy at Walmart. 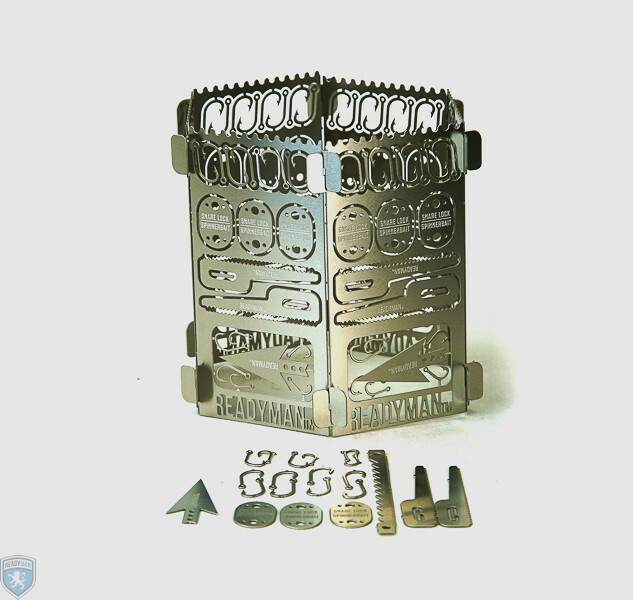 A great gift idea for outdoorsy people, the survival stove contains 6 stove sides that are filled with arrow heads, fish hooks, snare locks, spinner bait, a saw, and stir sticks. 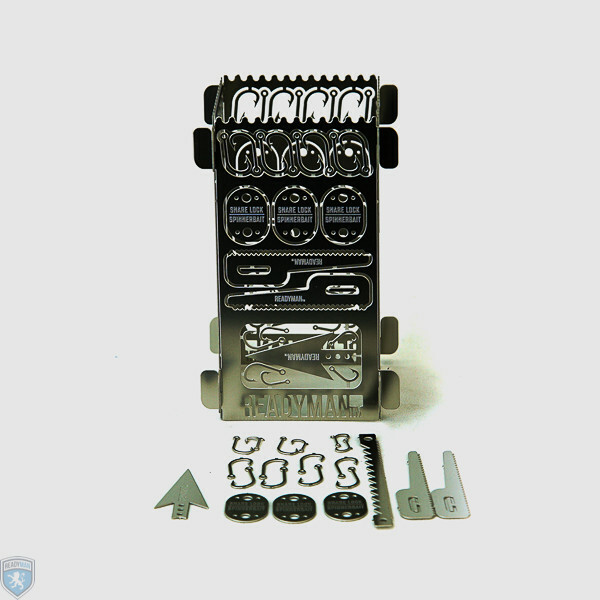 Perfect to keep in your pack for emergencies, the survival stove is made from 301 stainless steel, weighs 5.25 oz, and measures 4.5 inches tall x 2.5 inches wide when fully folded. 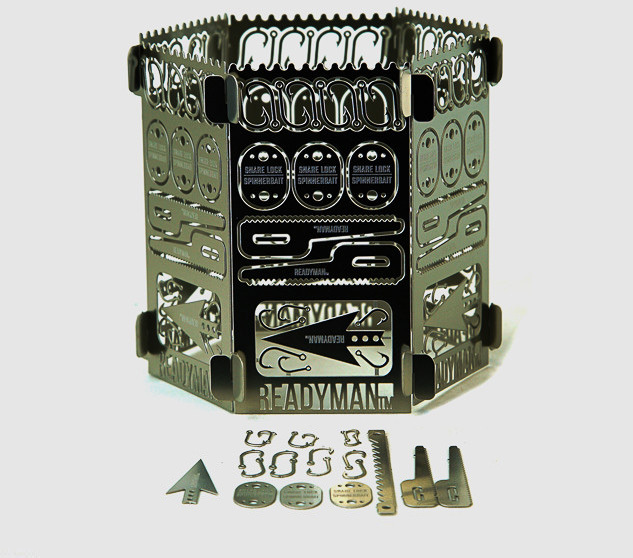 The Readyman survival stove 2.0 is the second version of their survival stove 1.0, where they added 2 more sides and a few more survival tools. Check out the survival stove in action via the video below.